Roughly 75 percent of homeowners choose their own exterior house paint and stain, thanks in part to decades of consumer advertising. But when it comes to asphalt roofing and vinyl siding, most people still let their contractor do the choosing. We asked more than 1,500 subscribers about their experiences with four big home projects: finishing an attic or basement and adding an enclosed porch or room. Those who hired plumbers and other pros themselves were happier than those who left the hiring and supervising to a general contractor. Projects were likelier to be within budget and on time. On the downside, you may not want the added hassle of acting as your own general contractor. These pros free you from such burdens as maintaining a work schedule, obtaining necessary permits, and resolving disputes with suppliers. They're also likely to have added leverage with subcontractors, especially those they use for other jobs. A rule of thumb: If your job requires more than three subcontractors, a general contractor is probably a good idea. Choosing a contractor you like is idea. You can usually get a good feel in the initial consultation. References are the ideal way to search for a quality contractor. 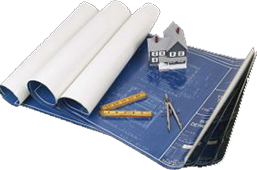 A proffesionally created website will also aid you in checking out a contractor. Most reputable contractors should have a proffesionally created website with updated information and pictures of past projects. Suppose you weren't happy with your last contractor or you've moved to a new neighborhood. Several good leads can help take the guesswork out of finding a new pro. There are several ways to spot a questionable pro right from the start. An address that can't be verified is an immediate red flag, as is someone who uses only a post office box or who has an answering service or cell phone with no separate listing. Also be wary of hefty discounts with no mention of the total cost, as well as pros who want to use your home as a "demo" or claim that they're doing a job in the neighborhood and have leftover materials. Other reasons to keep looking: high-pressure sales tactics, threats to rescind a special price if you don't sign on the spot, and dire warnings that your house puts you at peril. Ask previous customers whether they were satisfied. Seventy-eight percent of subscribers we surveyed said they were very satisfied with work done for a major home-improvement project. Another 15 percent said they were fairly well satisfied with results, but 7 percent were at least somewhat dissatisfied. Look for proper insurance. If someone is hurt or a neighbor's property is damaged by an uninsured contractor, you could wind up paying. Get copies of the contractor's liability insurance and workers compensation certificates. Also find out what your homeowners' insurance covers before work begins. Get at least three written estimates. Be sure each bid includes a timetable and the specific products and materials you want as well as the labor. Material and product allowances should give prices and quantities. And don't jump at the lowest bid; readers who did generally got poorer work. A rock-bottom price could mean the pro is cheaping out on materials and excluding essentials. Get a contract without the "gotchas"
Be sure the contract lists what's included and what isn't. That means complete specs for materials and equipment, along with demolition and clean-up provisions and who's responsible for getting permits and inspections. It also means a clear list of extras, including any assumptions the contractor has made--that existing wiring and plumbing lines are adequate, that sub flooring is sound, or that you will pay for all trash removal, for example. Stay involved. Surprises often happen once work begins. Be sure you're reachable during the day. Then set aside time with the contractor each morning or evening for a daily progress report. Get problems fixed before you write the last check. Your contractor should agree to resolve problems during the course of work, rather than afterward, when the check has been cashed. Keep control of your money. Pay for the project in stages as key materials and supplies are delivered. Keep the down payment to a minimum (20 percent is a general rule). And avoid paying cash. Then schedule the final payment for within 15 days of satisfactory completion. Protect yourself legally. Watch out for binding arbitration provisions that limit your right to sue. And never make the final payment until you have signed mechanic's-lien waivers or releases from all subcontractors and suppliers. These are essentially receipts that acknowledge payment for goods and services, and free you from claims on your property should your contractor fail to pay subcontractors or suppliers. You may also require an affidavit from the contractor stating that all subcontractors and suppliers have been paid and that the contractor is responsible for any liens filed. Going with the lowest-bid contractor could be highly disappointing. CR subscribers who did so for kitchen remodeling projects weren’t as pleased with the results, based on responses to our latest Annual Questionnaire. Choosing the least-expensive pro also lowered the odds of having issues resolved during the project and after it was done. Also among the less satisfied in our survey: those who chose a contractor from the phone book or online, not through references, and those who did not check out other projects their pro had handled.